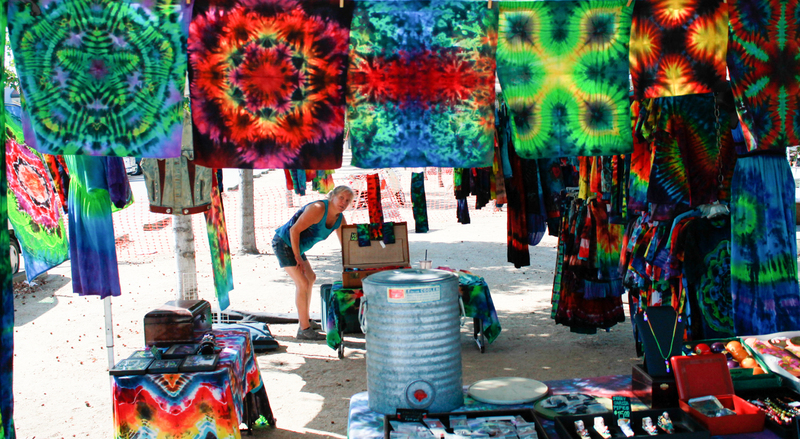 Linda Stewart, a vendor, displays tie dye creations at the Vintage Market on Sept. 23, 2018, in Woodlands Hills, Calif. Photo David Tejada. 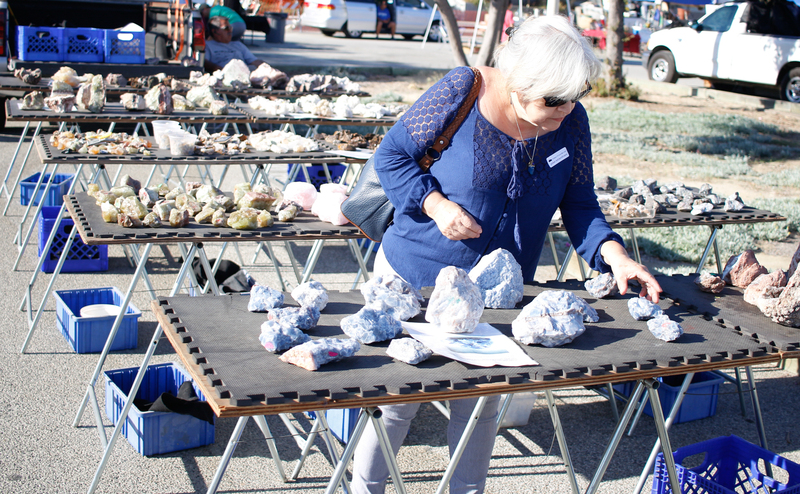 The monthly Vintage Market comes to Pierce, bringing customers and vendors together to form a community of eclectic buyers of antiques and artifacts from all around the world. Now in its sixth year, the Vintage Market is hosted by Patrice Curedale and Lori Rotblatt. According to the pair, they began small and flourished into what they are today. “Our first market we had about 65 vendors and by the next month we had about 120. Then the next month we had 150”, Curedale said. Presently, the team doesn’t do much outsourcing to find vendors, but rather is referred by other vendors. 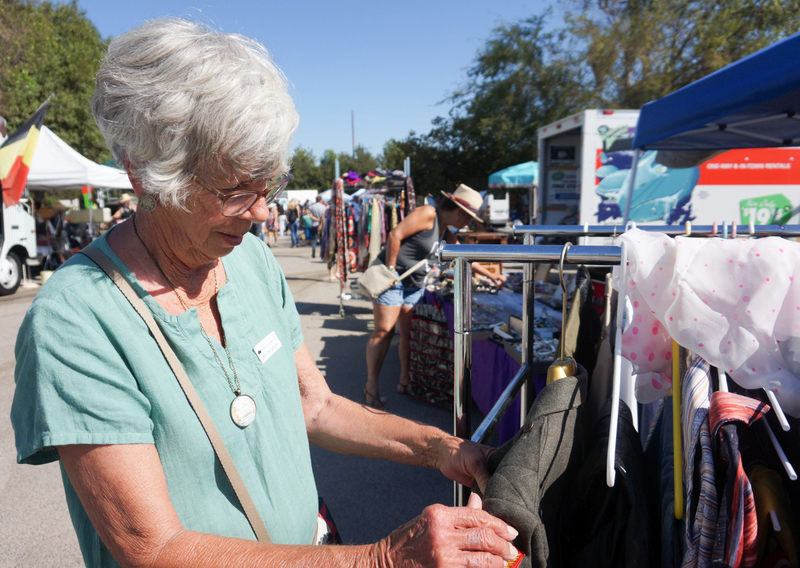 The Vintage Market wasn’t always at Pierce College. It first started at the Westfield Promenade, but the market outgrew the area not only because of the vendors, but also because of the new incoming customers. Some sellers come for more significant reasons, some simply to fuel their hobby. Randy Johnson, a local seller of his father’s old memorabilia stated due to its close proximity, Johnson has grown fond of the market and all it has to offer. “It’s just a life-long collection of his, that we’ve decided to try to sell,” Johnson said. Johnson claims some of his father’s collectibles have been in boxes for decades and hopes to use the funds generated at the market to take care of his mother. Claudius Milton, another local collector of memorabilia, seems to collect his antiques through his profession in the moving company. “I move people daily and they’re always downsizing,” Milton said. Through people giving him collectibles, Milton has furniture dating back to the 1940’s. However, for people like Clyde Latimer, the market is only to keep him busy. But looking for things has brought Latimer to other countries where he’s found crystals to add to his extensive collection.